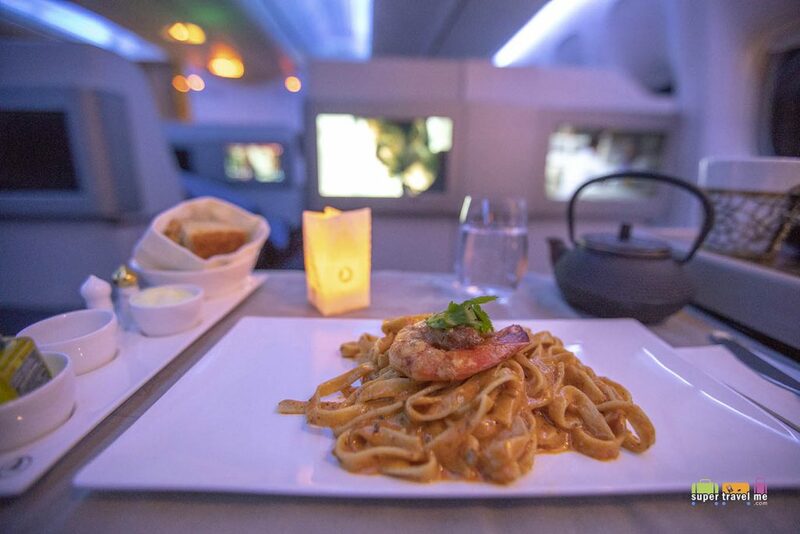 Dining while flying has always been a fascination for me. 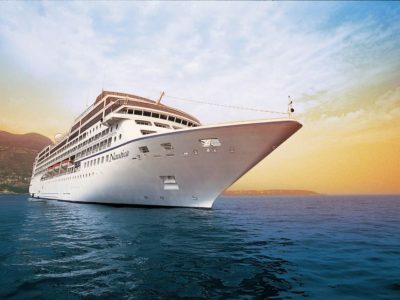 In May 2018, we flew Turkish Airlines from Singapore to Moscow and from Saint Petersburg to Singapore via Istanbul to cruise the Imperial Waterways of Russia with Uniworld. Turkish Airlines has partnered Turkish Do&Co since 2007 which has nine gourmet kitchens in Turkey. 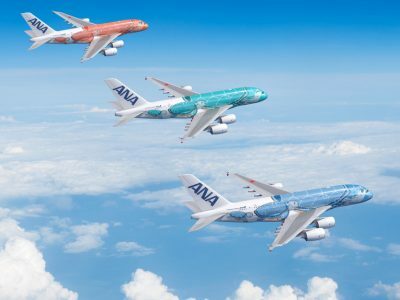 It is also one of the few airlines that feature inflight chefs. It is easy to recognise them as they are dressed in the typical chef’s white outfit and hat. 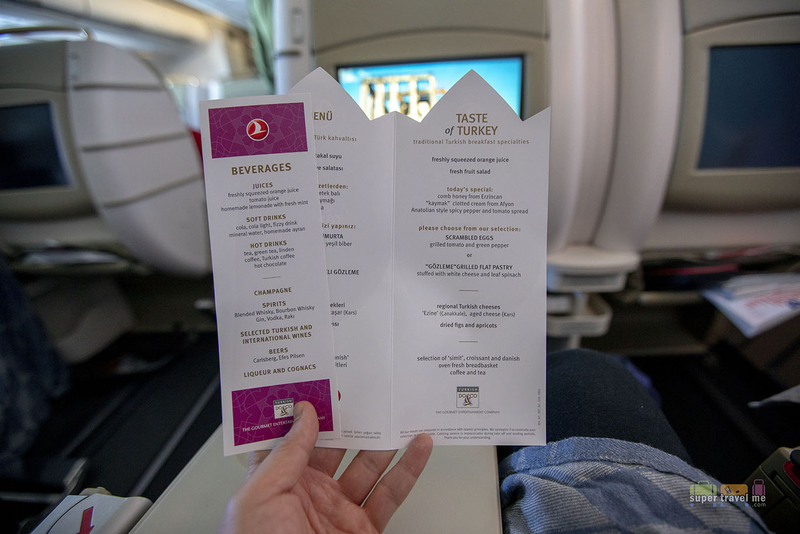 Turkish Airlines invited us to try out their in-flight service in Business Class. I was absolutely delighted at the thought of flying with Turkish Airlines again. In October 2017, I flew with Turkish Airlines to Istanbul and Cappadocia on a media trip with Small Luxury Hotels of the World. 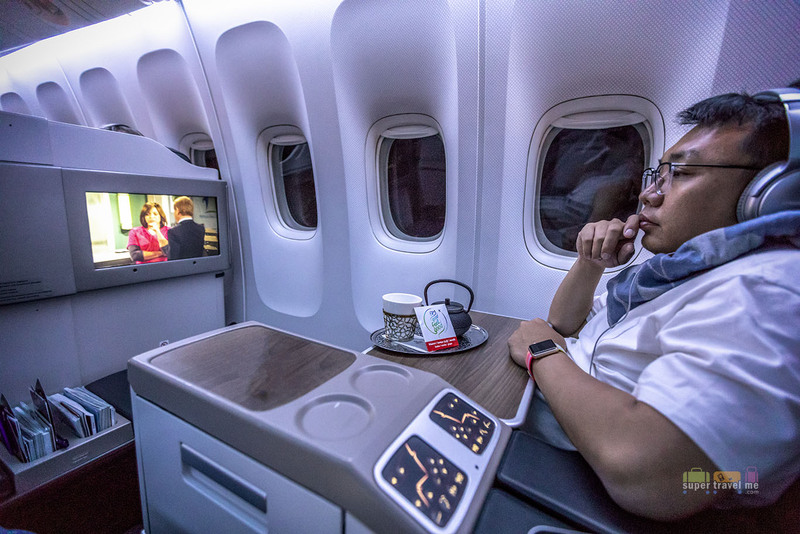 I got to enjoy the Star Alliance member airline’s business class flat bed seats with ample space and room as well as their friendly service onboard. Dennis was travelling with me and I was excited to show him the famous Turkish Airline Lounge Istanbul, probably the world’s largest airline lounge. 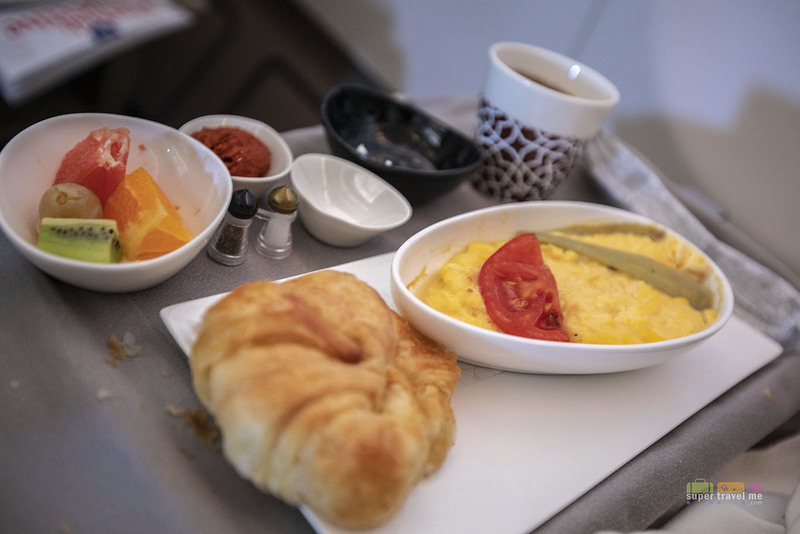 When you fly on the red-eye flight between Istanbul and Singapore, you are offered a breakfast menu where you can pick your choice for breakfast, Breakfast is served prior to landing so that you arrive in your destination ready for the rest of the day. A selection of wines are offered, but that’s a tad bit too early for me for breakfast. 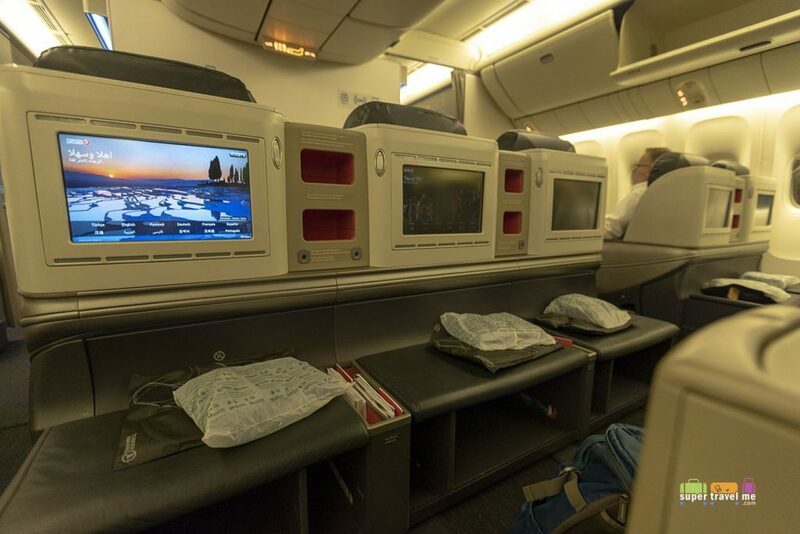 You get to travel in comfort in the 2-3-2 business class cabin where the seats are spacious. 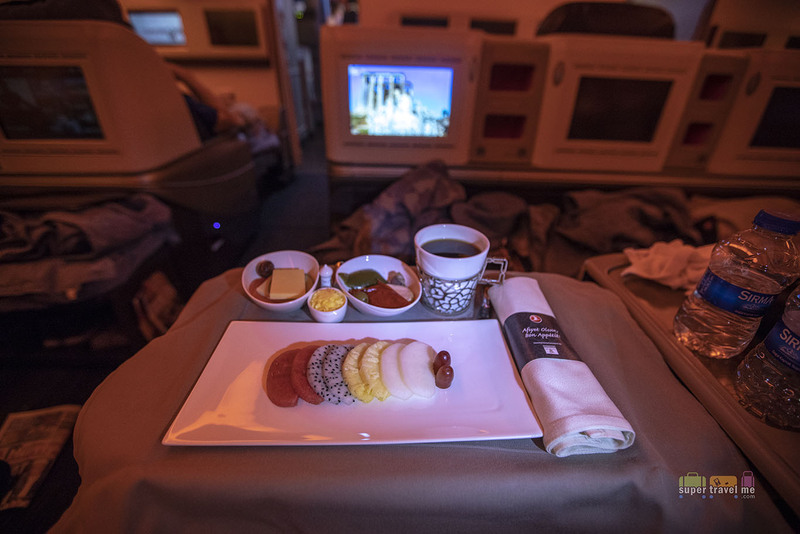 More importantly, when you sleep you can rest your legs straight in front instead of sleeping in an angle common with other airlines business class especially with angled-herringbone seats or even on Singapore Airlines’ signature Business Class seats. 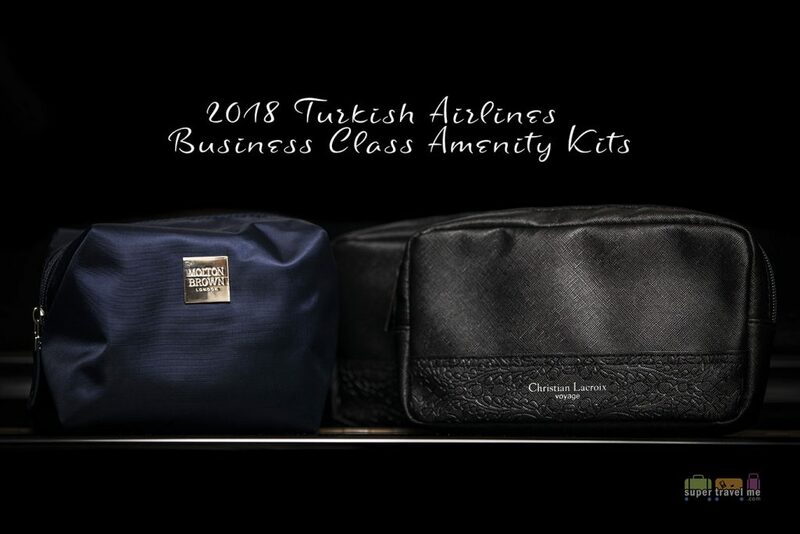 The airline also offers amenity kits for its long haul flights. New Molton Brown and Christian Lacroix amenity kits were introduced in April last year. 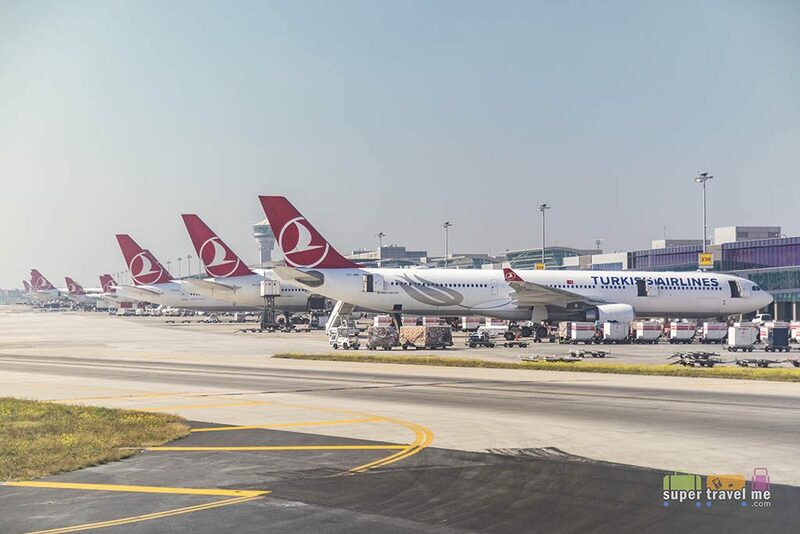 You get a different set for flights departing Singapore to Istanbul and another departing Istanbul to Singapore. Complimentary wifi for business class customers onboard Turkish Airlines flights between Singapore and Istanbul. 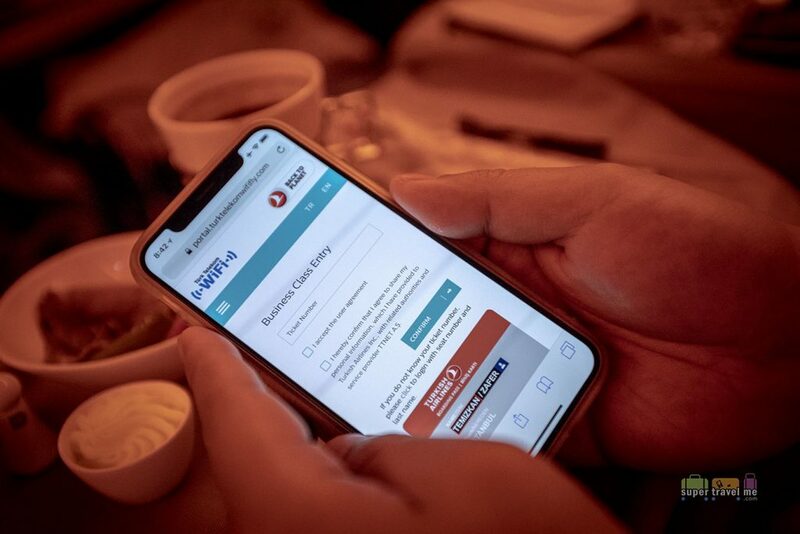 It is thoughtful of Turkish Airlines to offer free wifi to Business Class passengers for the duration of the flight between Singapore and Istanbul. It is small thoughtful gestures such as this that make flying with Turkish Airlines delightful. There is always a menu with a tulip die-cut for every meal in Business Class. Even customers in Economy receive a much simple design menu. 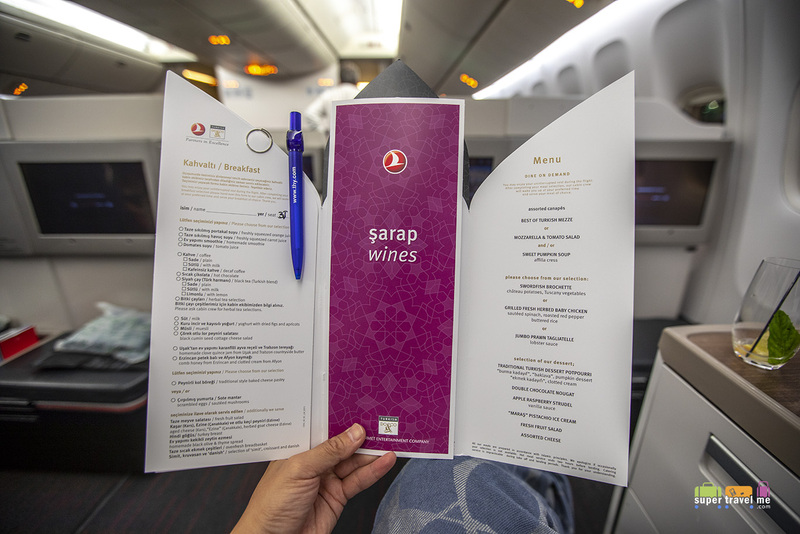 Menus on the long haul flights are larger because they also feature a wider selection of alcoholic and non alcoholic beverages. Appetisers on its own can be pretty filling. So pick your food selectively. 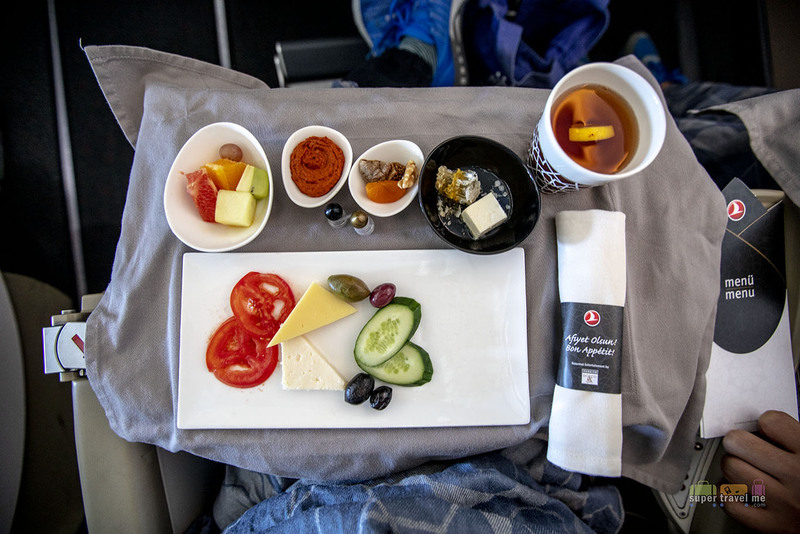 On our morning flight from Istanbul to Moscow, appetisers was a plethora of small bowls and plates featuring honey comb, clotted cream, and an Anatolian spicy pepper and tomato spread. 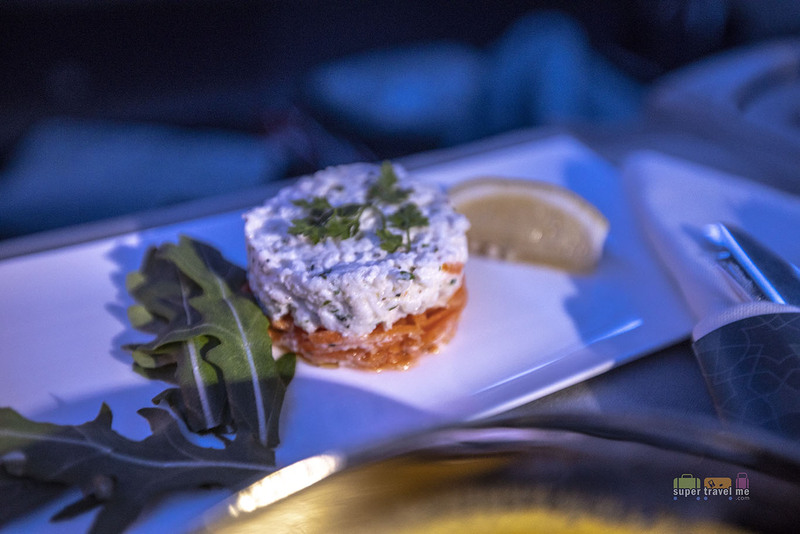 The appetiser for supper onboard TK55 from Singapore to Istanbul was an absolutely tasty crab remoulade. 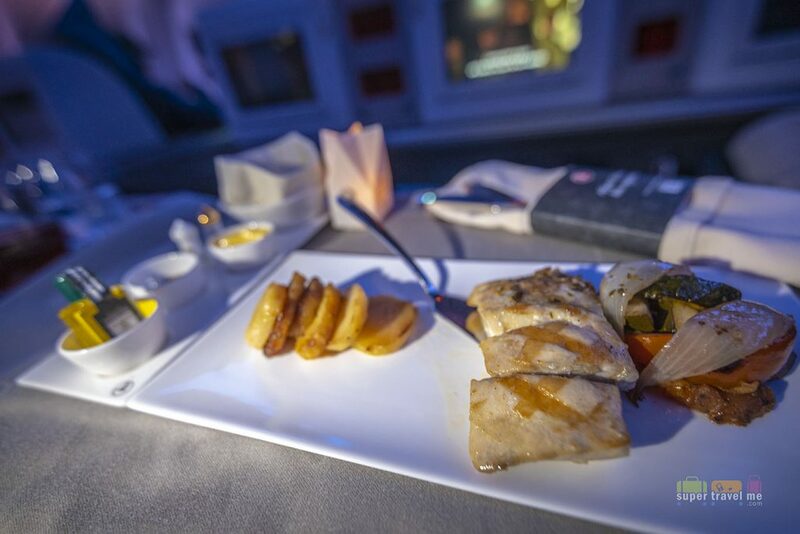 Turkish Airlines is the first airline to introduce candle-light dining onboard. A battery-operated one, since open flames are not allowed for safety. It’s rather cute but absolutely gorgeous especially when you are dining at night. 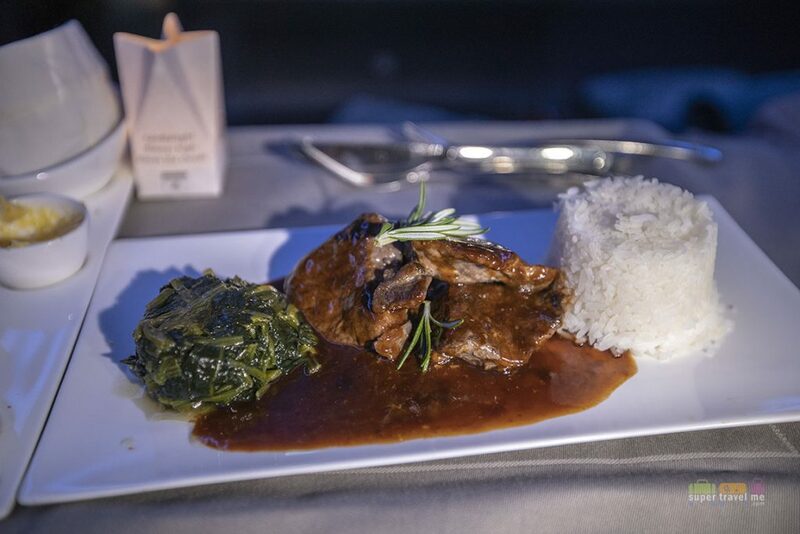 Other airlines have since followed suit introducing candle light dining. 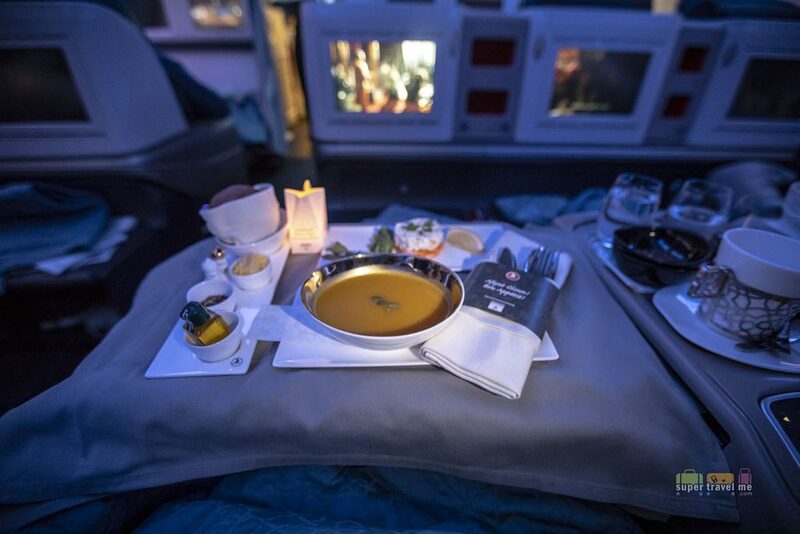 Qatar Airways introduced a new candle light to its Business Class customers last year. Another item worth mentioning is the porcelain salt and pepper shakers that have a magnetic base. These salt and pepper shakers are shaped as minarets, a common architectural sight throughout Turkey. 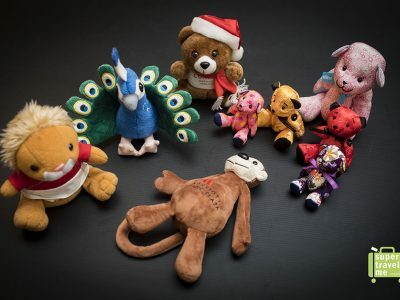 These are not for the taking, unfortunately, but on some flights there are disposable plastic versions which you are welcome to take with you as a souvenir. Soups on board Turkish Airlines can be very comforting. I had the Ginger Pumpkin Soup with roasted pumpkin seeds for supper from Singapore to Istanbul. 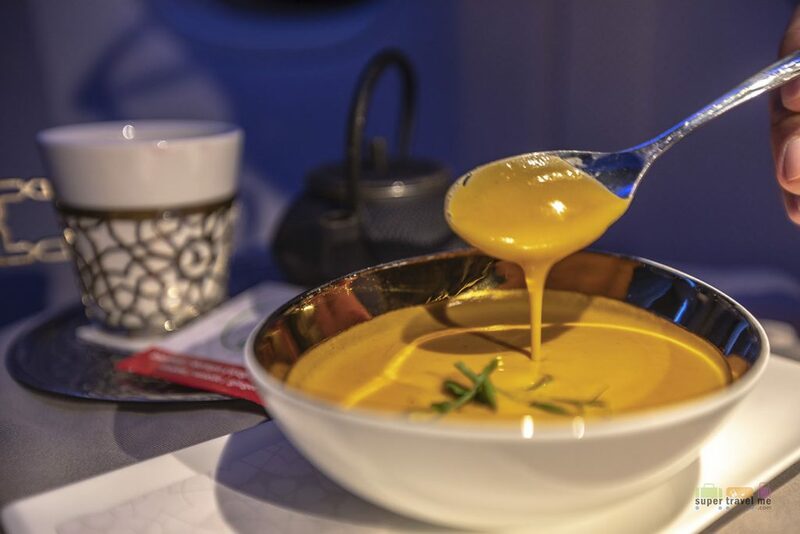 And since Dennis doesn’t have a liking for ginger, he only had the sweet pumpkin soup with affilla cress on the flight from Istanbul back to Singapore. Nothing could be more comforting than a hot bowl of rich creamy soup. Having Dennis fly together on TK55 from Singapore to Istanbul meant that we could each order something different. I can hardly reject anything with rice. So I ordered the stir fried beef with BBQ sauce, wok fried spinach and jasmine rice. A bit too much for supper, but I did not regret. Dennis had the grilled seabass with Tuscany style vegetables and pan fried potato slices. On our return flight from St. Petersburg to Istanbul, we flew the 3.15pm flight. Late lunch was “Gözleme” Grilled Flat Pastry stuffed with white cheese and leaf spinach for me. Dennis had the scrambled eggs with grilled tomato and green pepper. Fresh fruit, cheeses, cakes or pastries are usually offered on a dessert trolley on the long haul flights. And it is always tough deciding what to have from the selection. You don’t have to stop at one if you cannot decide. You can always get a selection to enjoy. 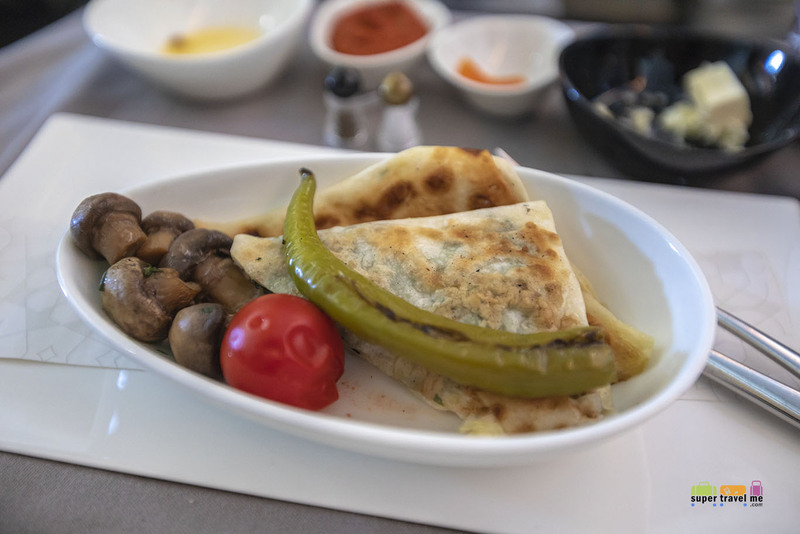 Breakfast onboard Turkish Airlines’ long haul flights are customised based on what you have preselected. Customers are given a form to select from when you first board your flight. That coffee is a perfect wake-me-up. Dennis enjoying the inflight entertainment onboard Turkish Airlines TK54 from Istanbul to Singapore while enjoying the Winter Tea. 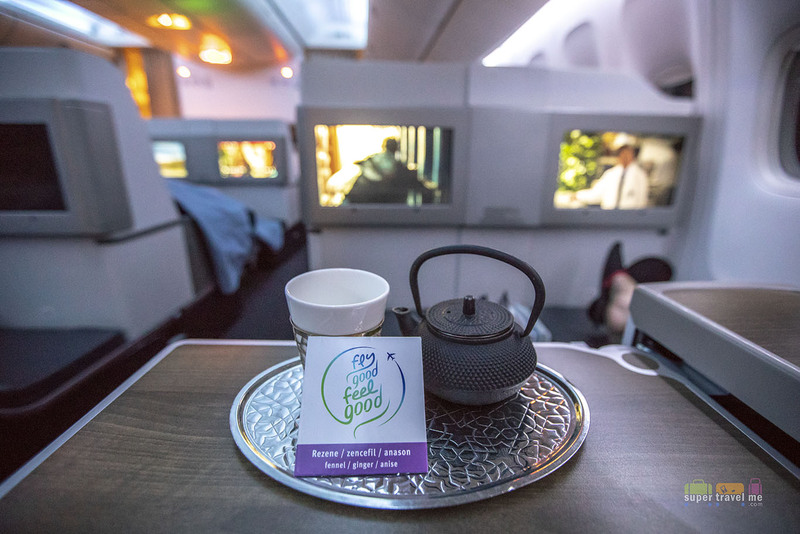 You can enjoy a movie with Turkish Airlines’ inflight entertainment over a pot of tea to calm you down during the flight. 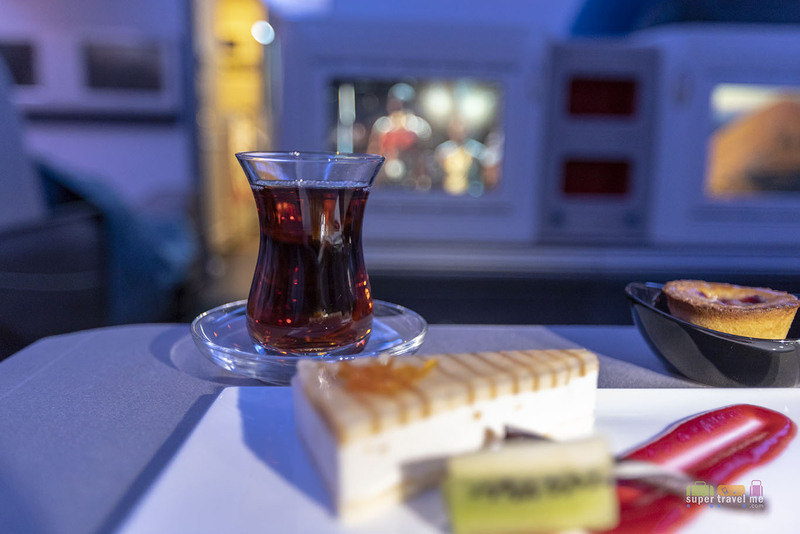 Turkish Airlines serves a selection of wellness tea selections to help you fly good and feel good. 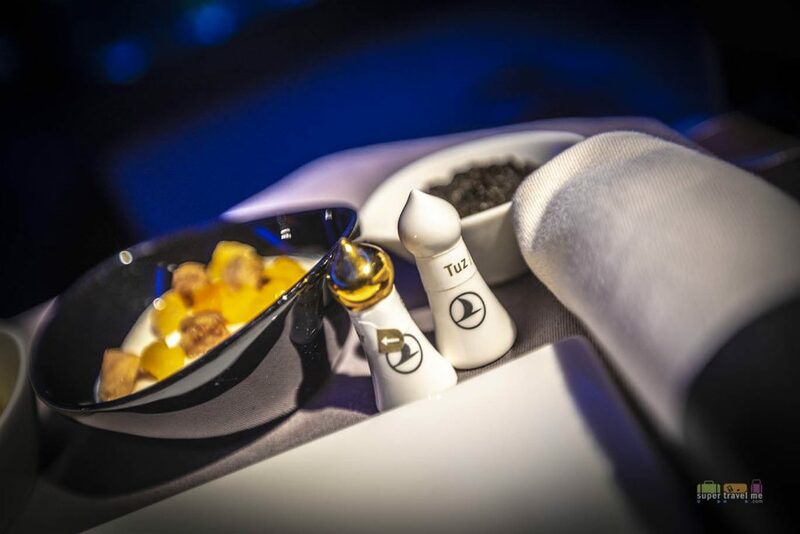 These blended teas are also available at Lounge Istanbul at Istanbul Ataturk Airport. These teas help you to relax, digest, energise, or detox. The Relaxing Tea is a blend of rooibos, melissa, camomille, sage, cherry stalk and lavender to help you relieve stress. 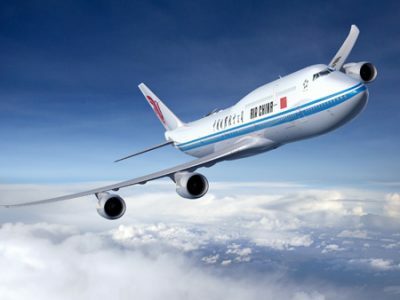 It promotes sleep and helps prevent jet lag. I had the Digestive tea, a blend of fennel, ginger, anise, lemon balm and caraway. Have the Energy Tea before landing. The blend of green tea, mate, sage, mint and ginger helps to energise your body and speed up metabolism. The Detox Tea contains green tea, Roselle, cornsilk, ginger, cardamom, black pepper and clove. It helps resolve edema and reduce swelling. The Winter Tea supports the immune system and is good for cold and flu. It is a blend of linden, Roselle, ginger, echinacea, clove, lemon peel, liquorice and cinnamon. 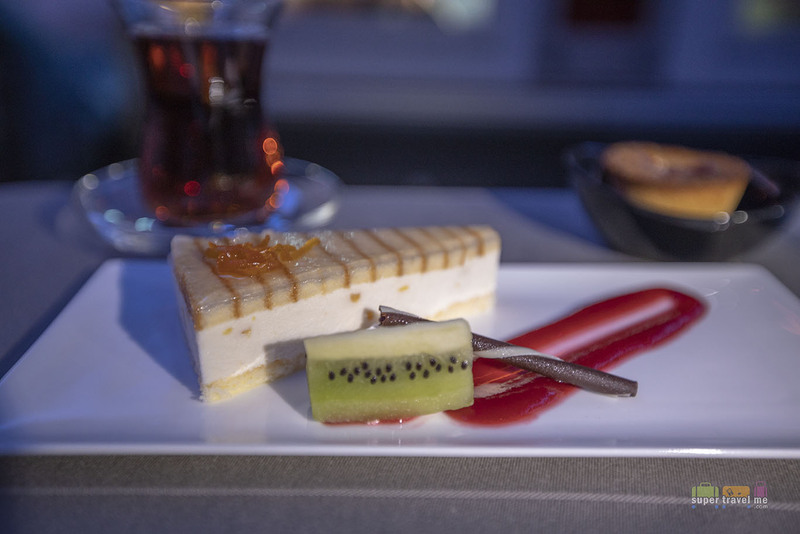 Turkish Desserts at Lounge Istanbul at Istanbul Ataturk Airport. 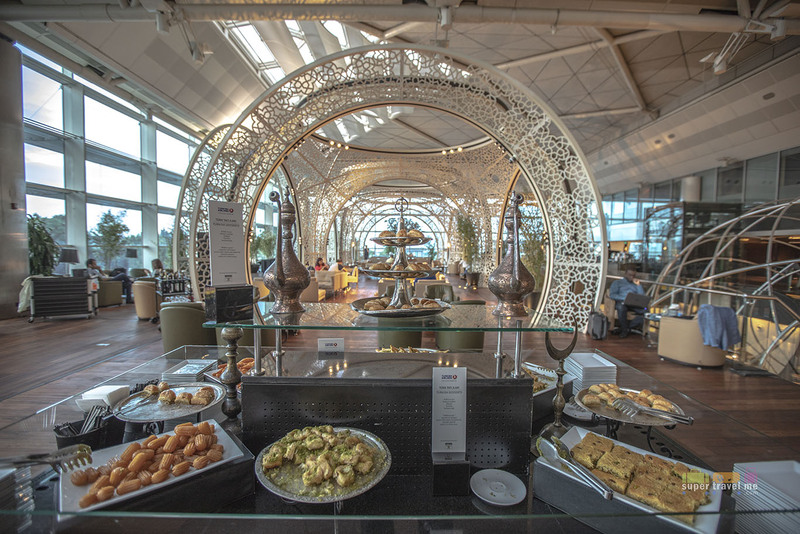 Enjoy an array of Turkish food and desserts at Lounge Istanbul, Turkish Airlines’ lounge in Atatürk Airport (ISL) for Business Class customers, Miles & Smiles Elite and Elite Plus members as well as Star Alliance Gold members. 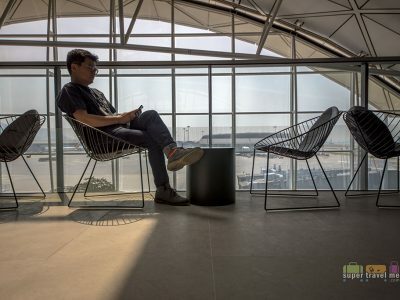 I am sure Istanbul Airport (IST), the new airport terminal for Turkish Airlines would have an even grander Lounge Istanbul when tall scheduled flights at Ataturk Airport will end on April 6, 2019 at 02:00, and any previously planned flights will continue from 14:00 onwards from Istanbul Airport on the same day. There were multiple food and drink stations throughout the two levels of the extremely spacious lounge so that you will never go hungry. Overall, the experience flying with Turkish Airlines has been a five star one for us. 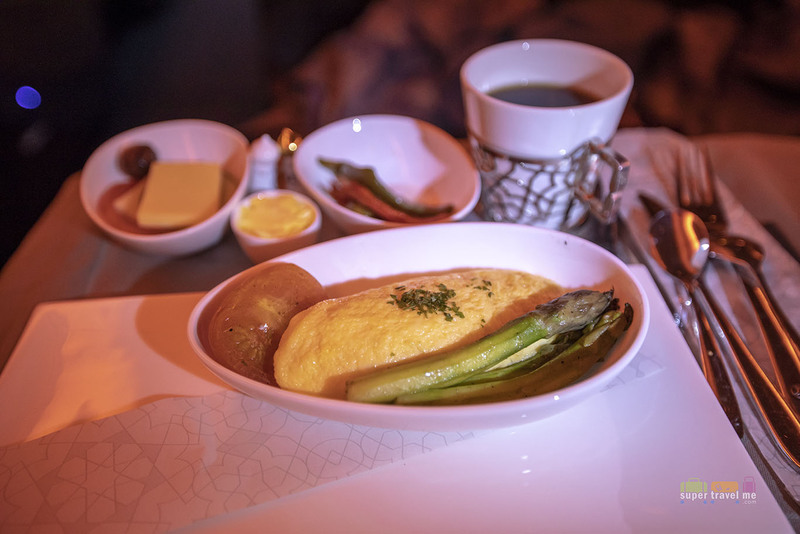 The inflight dining, service as well as the amenities of flying business class has made the experience memorable for us. The full flat bed seat was so comfortable, we slept so well. The Philips headphones provided on all international flights except for continental ones are specially designed for long flights. They feature breathable ear cushions, adjustable earpieces, compact folding and powerful sound isolation. Though we prefer to use our own sound cancelling headphones whenever we fly. Did I also mention that Skylife, the airline’s inflight magazine is an enjoyable read filled with destination stories and information about Turkey, its culture, people and events.